Uptown Update: 4635 Broadway Getting A Much-Needed Makeover? 4635 Broadway Getting A Much-Needed Makeover? We noticed the other day while taking a stroll that all the stores in the 4635-4641 North Broadway building are having everything-must-go sales and all are closing on September 30th. 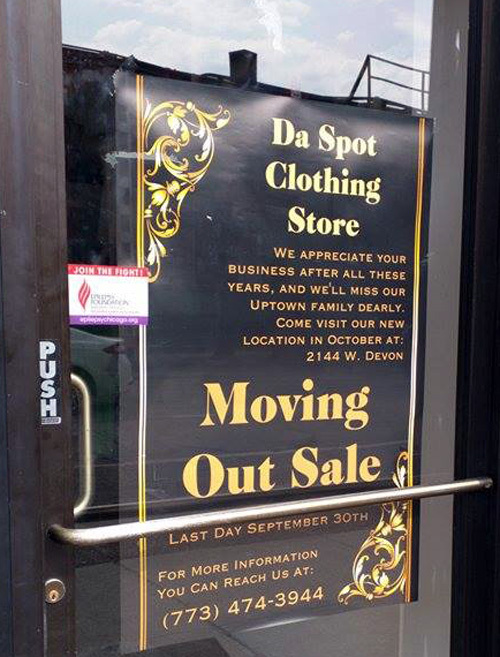 They include Da Closet Thrift Shop, Da Spot clothing store, Afrikiko Hair & Fashion Boutique, and Hair Studio. Da Spot has a sign on its door saying it will be relocating to Devon Avenue in October. 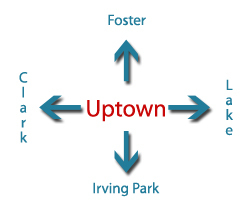 We're not sure what the plans are for the others; if they want to stay in business, Uptown has enough empty storefronts available for them to do so. A little research reveals that building permits for a gut rehab of the building, including the storefronts, were issued this past July. In 2013, Lakepointe Properties presented a plan for the building that included adding a fourth level to it. The July permits don't reflect an addition, so we assume that part of the rehab has been scuttled. The upper floors are looking pretty scruffy right now with boarded-up windows and mangled shades, so we're hoping for great improvements when the rehab is done. The building dates back to 1905, and it's survived this long, but the last couple decades have been rough on it. It was at one time owned by notorious developer Mohammed T. Siddiqi, who was involved in some shady financial doings with Sunrise Equities and Broadway Bank (both bankrupt and out of business now). Not surprisingly, the building went into foreclosure under his stewardship. It was declared a Gang & Drug House by the City of Chicago in 2010, and has been in and out of Housing Court ever since. Most notably, it was the site of a six-hour fugitive standoff in 2011, when the Red Line was shut down and SWAT sharpshooters were in place on rooftops surrounding the building. 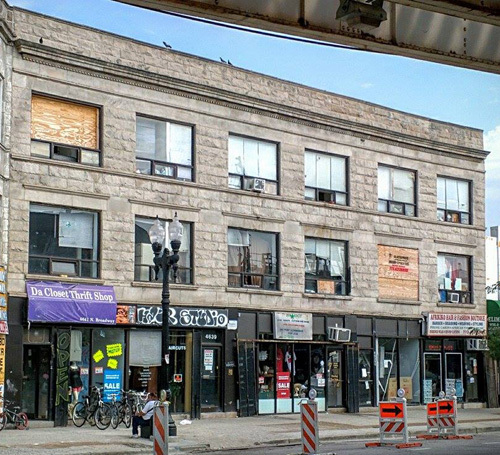 With the rehab of the Wilson Red Line going on, we hope for good things to happen on the other side of the street as well. Agreed about Uptown Bikes, a real treasure is this desolate stretch, hopefully more people will discover them after all the dust settles. This stretch to Wilson will be virtually unrecognizable in a couple of years. Take photos for your scrapbooks now. I hope you're right. 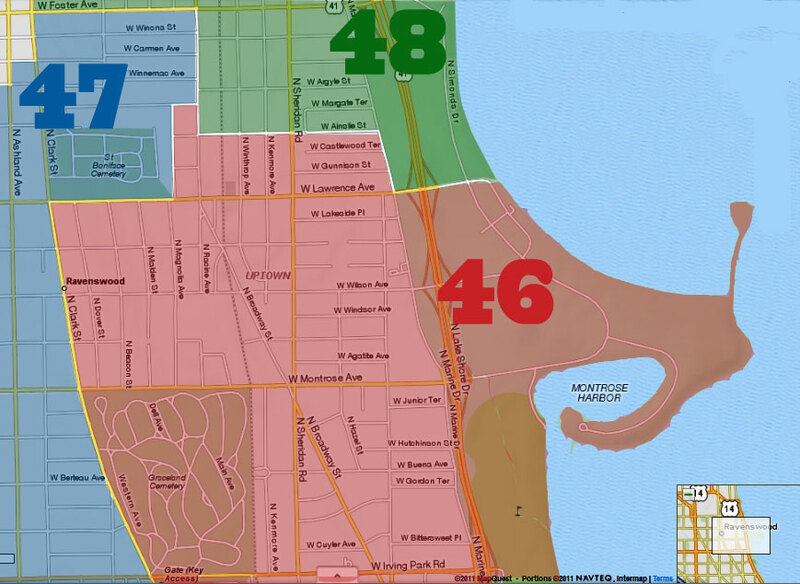 Time to weed out these seedy businesses and get rid of the crime in the area. I'm thrilled to see anything on this block getting some much needed TLC. That whole side of the street is a major eyesore. This is great news! Yes, there are one or two good businesses in this building that I hope aren't too adversely impacted, but I'm also hoping a lot of the loitering in recent months outside of the stores to be closed, also subsides.